Interested in trying your hand at cooking some Asian food? Try this easy bachelor recipe for a good start. Cut up the defrosted chicken breasts into small bite size chunks. Cook the rice (following the directions on the package). Put a little oil (about a silver dollar size) into a Cast Iron Skillet or pan and cook your chicken breasts on a medium heat stirring as needed. 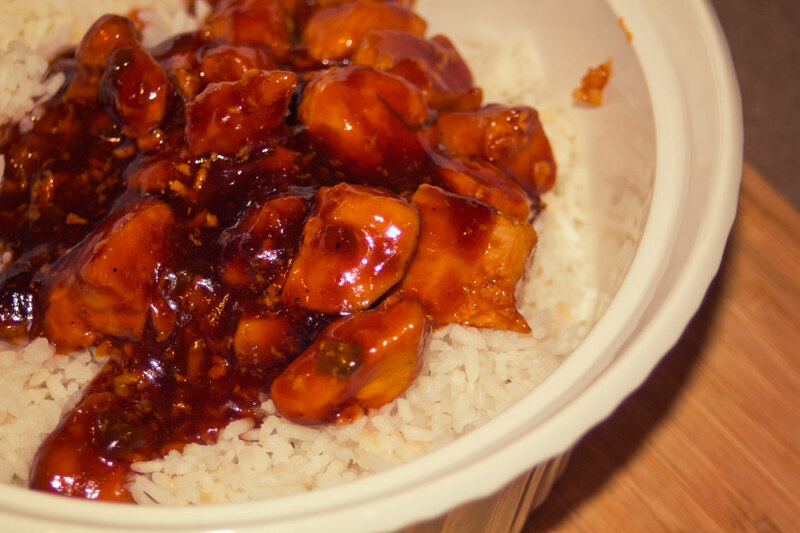 Before the chicken is fully cooked (but after it’s mostly cooked–about 3-5 minutes) add the Tso Sauce and reduce heat to low. Let simmer for up to 10 minutes. Put rice in the bowl. Add your saucy chicken on top. Chicken is done when the juices run clear. Chicken is done when there is no more pink in the center. Rice doesn’t keep well as a leftover unless you have lots of sauce.